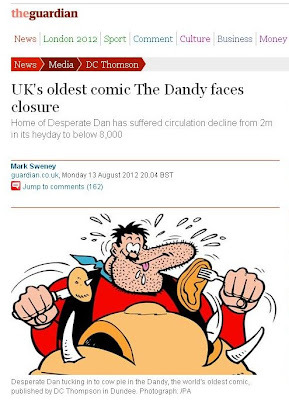 British comics haven't had so much media coverage in years, if not decades, in print and on radio and television than in the last few days since The Guardian broke the news that DC Thomson were considering cancelling The Dandy. But just how much of the publicity over The Dandy's print cancellation and rebirth as an e-comic was stage-managed to gain publicity for the title? The story began with a piece about the possible closure of the comic on The Guardian website at 8:04pm on Monday 13 August. Having had just over two weeks of solid Olympics coverage across the British media when other stories were squeezed for space and time by the achievements of British athletes and the British public becoming intrigued with sports they had never watched before, Monday 13 August was the day after the closing ceremony in London with news outlets reviewing the ceremony and the games in general. That meant that the first day of the news cycle that would not have major new Olympics coverage was Tuesday 14 August, the day The Guardian went to print with the story and by which time the rest of the papers and media outlets had picked up on the on-line story as well. As we know, the potential cancellation got massive media coverage on Tuesday. 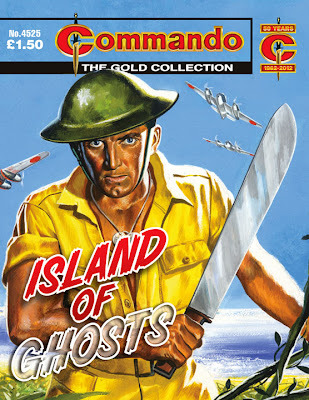 In September 2009 The Guardian published "free" reprints of DC Thomson comics for their readers to enjoy over the course of a week and, as well as the behind the scenes commercial contacts that this would have provided between the two organisations, The Guardian sent a reporter to write a piece on the comics side of the DC Thomson business. In addition to this something else happened on Monday 13 August that went unnoticed by most. 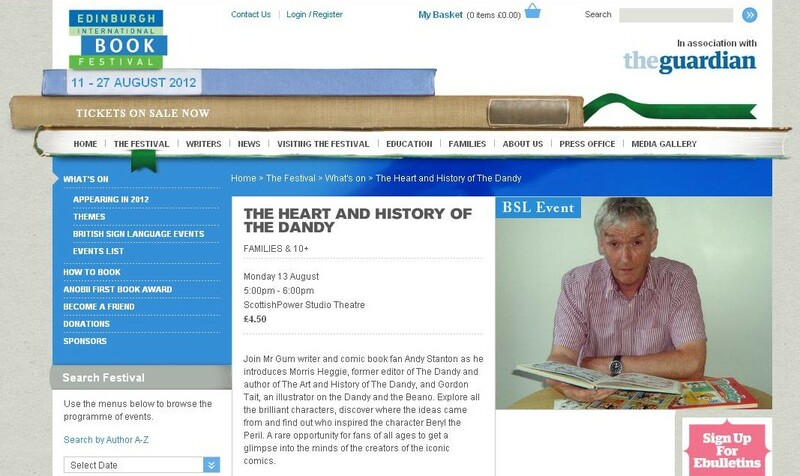 At 5pm at the Edinburgh International Book Festival, the largest literary festival in the world, The Heart And History Of The Dandy talk took place with author Andy Stanton chairing a talk from DC Thomson archivist, and 20 year veteran of The Dandy editor's chair, Morris Heggie ably helped on sketching duties by artist Gordon Tait. The talk was filmed by the camera crew that are currently filming a television documentary about The Dandy for broadcast around the comic's 75th birthday in December. 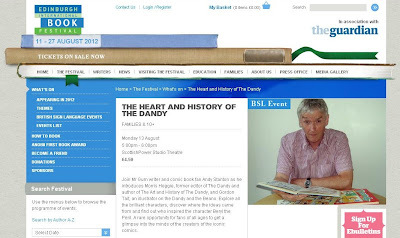 The BookFest always has a signing session after each talk and The Dandy one was attended not just by Morris and Gordon but also by Craig Graham, the current Dandy editor. They weren't the only DC Thomson staff members in attendance that evening with management in evidence from both the main company and their book publishing subsidiary Waverley Books, who published The Art And History Of The Dandy history book that the talk was based on. The Guardian article went live on the newspaper's website less than two hours after the signing session concluded at the Edinburgh BookFest. Who is the headline sponsor of the Edinburgh International Book Festival this year? Yes, it's The Guardian. How to keep the publicity going? As the Tuesday media storm subsided on Wednesday, the next step to keep the publicity going after the initial tease of the possible cancellation was to make an announcement of what was actually going to happen. On Thursday 16 August DC Thomson confirmed via Twitter that the print Dandy will reach its 75th birthday in December before regenerating into an as yet unknown entity, the e-Dandy. After the build-up over the previous couple of days, that announcement was widely reported in print, on the internet and on television. It even made it on to the BBC News at 6pm that evening. Perhaps. 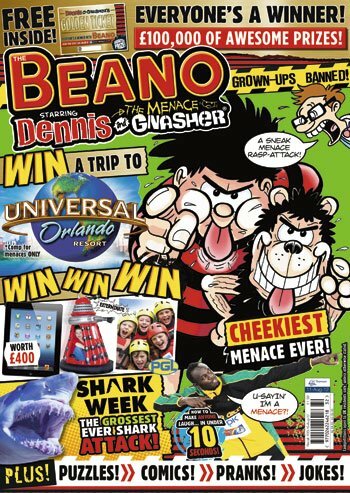 Travelling from Cactusville to Beanotown, The Beano is running a major Golden Ticket competition promotion during August with a grand prize of a family trip to the Universal theme park in Florida, hundreds of smaller prizes and, in addition, consolation prizes of a three month free subscription to the electronic version of The Beano for every reader who doesn't win something else. While not all will take up that offer, and social media has already thrown up a number of persistent complainers who think that such an e-subscription is of no value, with weekly sales of around 38,000, that is a lot of readers that will potentially get the e-Beano during September, October and November. Indeed so many people tried to log in to The Beano website to register their prizes that it crashed under the server load. Come December when the publicity push about the print Dandy celebrating its anniversary and the e-Dandy launch is in full swing, all those e-Beano subscriptions will run out but the title will be able to feed off that Dandy publicity to try to get those subscribers to pay to continue their e-Beano subscription. Do we want an e-Dandy rather than a print Dandy? 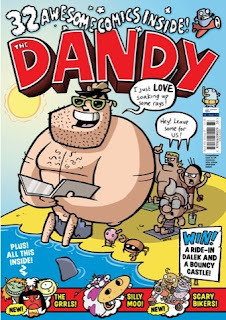 So what we have all feared for the last year or so is now official, The Dandy went down on our watch, and those of us that grew up with paper comics will mourn its demise whether we read it or not. However e-publishing is here, and here to stay. We may not remember a time without televisions, but today's young readers of the Dandy do not remember a time without i-Phones or i-Pads. Critics who say that e-comics will not work because children don't own i-Phones or i-Pads have apparently never been in a household that has both children and modern portable technology. The children may not own the devices but they know how to use them and they do use them, often just as much and with more knowledge about their operation than the adults. In a family home an i-Pad is often treated as a item for all the family just as the then new video recorder was 30 years ago. Indeed as videos helped television watching became a bigger part of children's lives then, DC Thomson were able to get their characters on to television screens. As it made commercial sense for the company to get its characters into the other media that children used in the 1980s, so it makes commercial sense to bring their characters to today's portable electronic devices and, when it comes down to it, a revamp of The Dandy into an e-comic is better than no Dandy at all. How do we sum this all up? 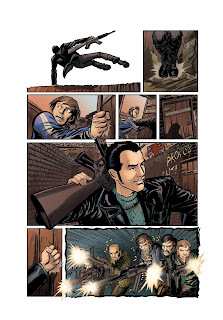 downthetubes is written by British comics fans for British comics fans and we do our best to promote British comics and their creators wherever they and their work appears, in comics, magazines, newspapers, books, apps or on the internet, whether that work is decades old or brand new. With The Dandy we are about to lose an old friend that we will mourn, but we look forward to seeing its future offspring. Let's hope that we are not the only ones. The official Dandy website with its countdown clock to the aniversary changeover is at www.dandy.com. Dandy and Beano are copyright DC Thomson and Co Ltd. The London International Creative Competition is inviting all visual artists to submit their creative work for inclusion in the London Creative Awards, which has a top prize of £2000. The artwork is juried by a board of internationally esteemed artists, writers, curators, gallery owners and other luminaries of the visual arts. There is no limit to creativity. LICC has no boundaries and encourages you to push the envelope of your creativity. All disciplines are accepted. Each of the 15 Final Selection winners will also receive a segment of the LICC Awards Trophy. When each trophy is fit together, it will form a completed piece of art work, like a jigsaw puzzle. On the 10th anniversary of LICC, all the artists along with their trophies, will gather together and present their altered trophy. At that time, these piece will be united, combined, and put on display at an exhibition in London. Originally scheduled to end in April, the extended deadline is 8th September 2012. Entry Fee: Professional: £20, Student: £15 Prize: £2,000 cash prize, selected work published in LICC's annual Book of Creative Designs, a feature in the LICC newsletter, and the much sought after LICC Trophy at the London Creative Awards in September of 2012.
and Counter Measures which explores further alien and paranormal encounters dealt with by the supporting cast of Remembrance of the Daleks. 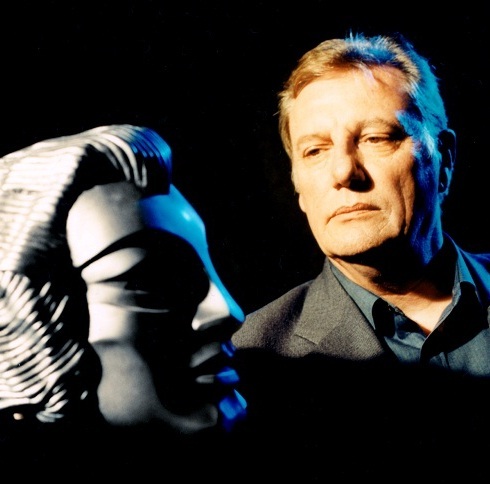 Actors interviewed in the show include Paul Darrow (Blake's 7), Pamela Salem (Miss Moneypenny in Never Say Never Again) and Doctor Who audio regular John Banks, plus producers and directors Dan Freeman, David Richardson and Ken Bentley. 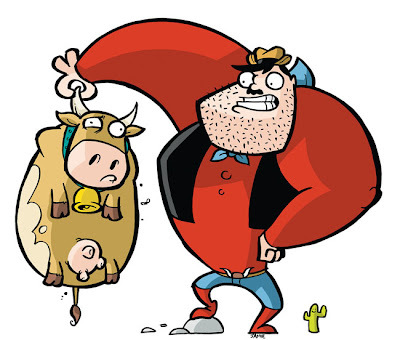 As part of Jon Briggs' Saturday morning breakfast show which runs from 6am - 9am, Alex Fitch and Robin Etherington will be talking about this year's Caption Festival in Oxford and the sad demise of The Dandy comic in its 75th year. Robin wrote the strips Yore and Tag Team Tastic for The Dandy in 2011 and is a regular contributor to The Phoenix comic, which he'll be discussing in person at Caption on Sunday 19th. In the last of the current broadcast series of Panel Borders, which this month has been looking at anthropomorphic or 'funny animal' comics, Alex Fitch talks to writer, editor and letterer Richard Starkings, and Ian Churchill, one of a rotating team of artists on Elephantmen, an American monthly comic (primarily created by Brits) about retired super-soldiers that are half animal, half human hybrids. Mixing the sci-fi / noir ambience of Blade Runner with the anthropomorphic horrors of The Island of Doctor Moreau, the comic has been serialised since 2003 and in this episode, recorded in front of an audience at last year's Bristol Small Press Expo, Alex talks to Richard and Ian about the origins of the title, Richard's move to America as a creator and Ian's own creator owned title, Marineman, which first appeared as a back-up strip in Elephantmen #25. The news of The Dandy's move to digital publication has prompted a huge flurry of news stories across various news media outlets. While most simply parrotted the official announcement made by DC Thomson about their plans (some playing up claims from the company that they have locked down the title's official web site for fear of it being hacked, which frankly, sounds like complete cobblers), some newspapers chose to do a bit more research into the state of the British comic industry, and their stories make for interesting reading. The Economist, in a feature titled "Not So Dandy" notes most children's magazines are taking a hit because of the recession. "It seems when parents' incomes are squeezed, less money is spent on them. But the decline in British comics goes back farther than the present downturn. The Beano's circulation was a 'six-figure' number in 2003. "The reason might have something to do with social media and TV," the magazine suggestes, "which kids spend more of their leisure time attached to these days. TV tie-in magazines like Simpsons Comics, with a circulation of 52,000, are proving more popular than antiquated comics like the Beano. Moshi Monsters, a magazine based on the eponymous social network where youngsters can raise virtual pets, has a circulation of 228,000." Moreover, the magazine points out, there are more rivals now than there were a decade ago, citing examples such as Doctor Who Adventures magazine (which at its height had a circulation of 155,000), Moshi Monsters and Pokemon World. "... To their credit, both comics have the same number of pages dedicated to cartoons as they had a decade ago," says the Economist. "They have retained some of the same artists. But the tone is noticeably different. The Dandy talks of farts, toilets, and "doofus" parents, and has two strips whose central characters are chavs and bogeys respectively. But the comic still raises a good chuckle or two. 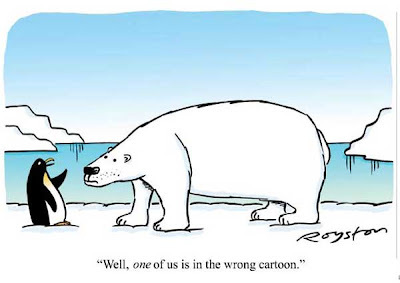 The quality of the cartoons has not declined, in this writer's opinion." The Financial Times chose to run a more general piece on the problems facing comics publishers on both sides of the Atlantic in": A Serious Turn for Comics"
"Behind The Dandy’s decline... lie broader lessons about the challenges of keeping up with children’s fickle tastes," the newspaper suggests, "the speed at which new digital choices are changing consumer behaviour and the need to manage brands across different platforms." As rumours about the comic's fate continued, some papers conjectured a transfer for the titrle's main character to rival comic The Beano. The Daily Record claims today that Dandy favourite Desperate Dan is in transfer talks with Beano, and "looks set to take new direction. "The end of the printed version of the Dandy means the end of an era for generations of children," the paper notes. "Its loss was summed up last night by Scottish First Minister Alex Salmond. He said: “I have fond childhood memories of reading the Dandy and it’s a shame future generations won’t be able to enjoy the printed edition. The last print Dandy will be published on 4th December 4th - an 75th anniversary edition, which will include a facsimile of the very first issue. "I can confirm that this will be our last print edition," said DC Thomson's Chief Executive Ellis Watson. "It's what comes online then that will set the tone for the next 75 years. Dan has certainly not eaten his last cow pie. "All of The Dandy's characters are just 110 days away from a new lease of life." The Dandy Annual will continue to be printed, and that branded products such as mugs will continue to be produced. 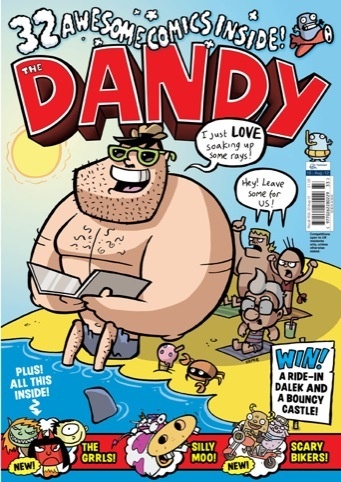 The last officially audited circulation for the Dandy was 7,489 weekly sales on average in the last six months of 2011. It is priced at £1.99. DC Thomson launched a Dandy iPhone and iPad app in November last year, priced at £1.49. Wicked Comics the organisers of the annual Malta Comic Convention and the promoters of comic culture world wide, has announced British comic creator Mike Carey as their first guest to the forthcoming Malta Comic Con which this year is going to happen on Saturday 8th and Sunday 9th December 2012 at St. James Cavalier (all floors), Valletta between 10am and 6.00pm on both days. Mike, who was born in Liverpool in 1959 has worked extensively in the field of comic books, completing long and critically acclaimed runs on X-Men, Ultimate Fantastic Four and Lucifer. 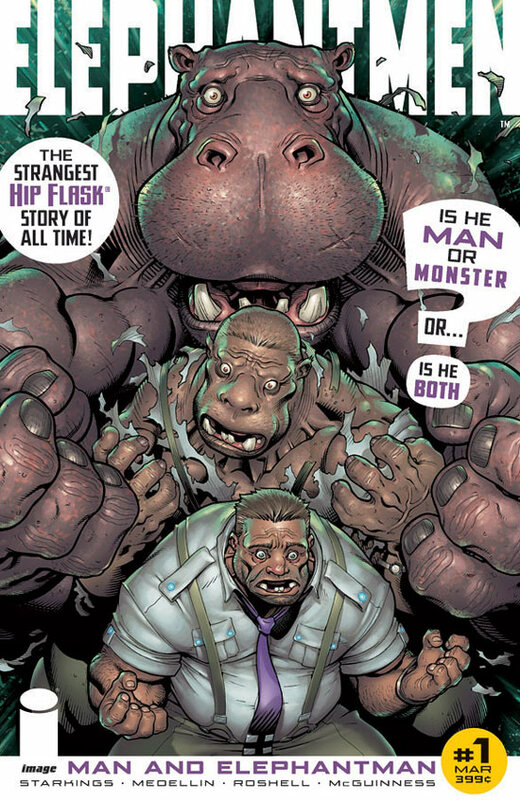 His ongoing comic book series for DC Vertigo, The Unwritten, has featured repeatedly in the New York Times’ graphic novel bestseller list, and he has been nominated for eleven Eisner Awards. 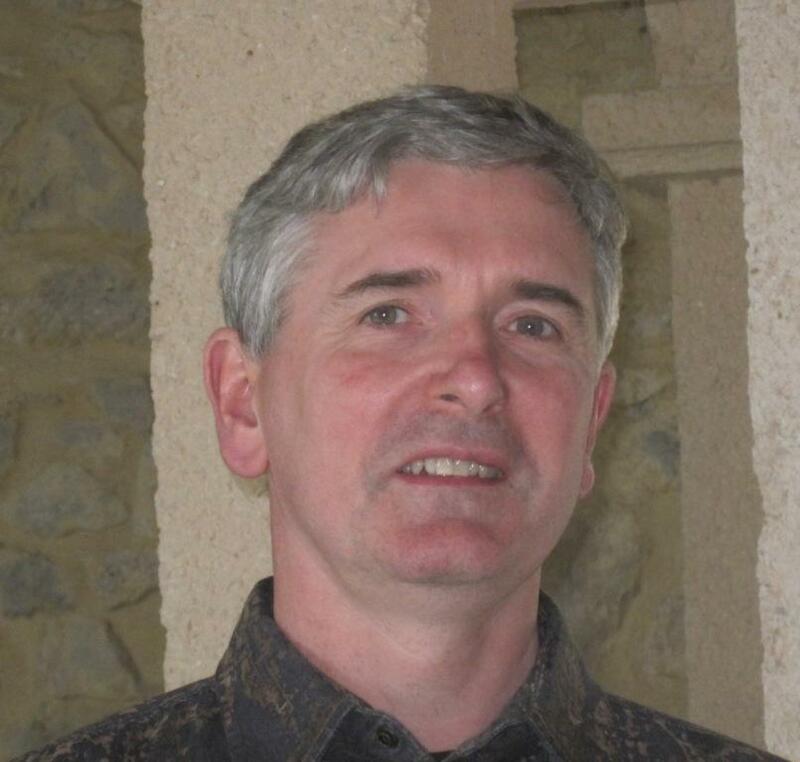 He is also the writer of the Felix Castor novels, of which five are now in print in the UK and three in the US, and (along with his wife Linda and their daughter Louise) of the Arabian Nights-style entertainment, The Steel Seraglio, released in the US by ChiZine Publications in March 2012 and due to be published in the UK by Victor Gollancz in 2013. “We cannot but be delighted and excited that such a talented writer as Mike Carey has kindly accepted our invitation to be one of our guests at this years’ MCC. Mike’s extensive bibliography is as impressive as is the quality of his work. I have yet to read something bearing Mike’s signature which has failed to impress me” stated Chris Le Galle, co-founder of Wicked Comics. 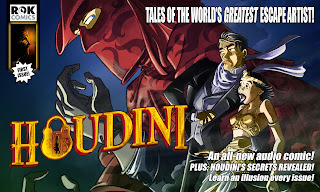 ROK Comics has announced the expansion of its audio comics range, with Team M.O.B.I.L.E., Houdini now on sale for iPad, iPhone and Android devices – and many more titles in the works. 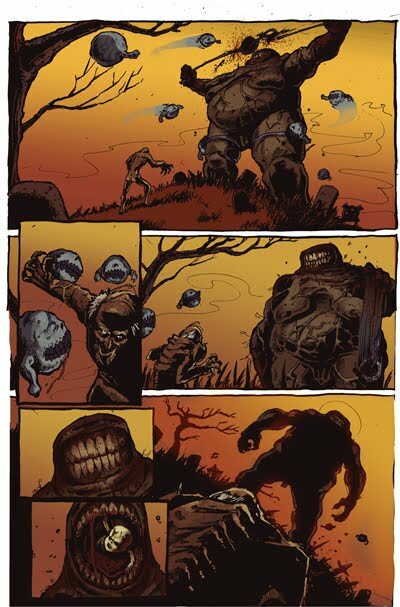 All ROK Comics titles deliver great comic content, enhanced by a fully authored audio soundtrack and other features that only digital comics can fully exploit, including animation and, in the case of its music comics range, music videos. 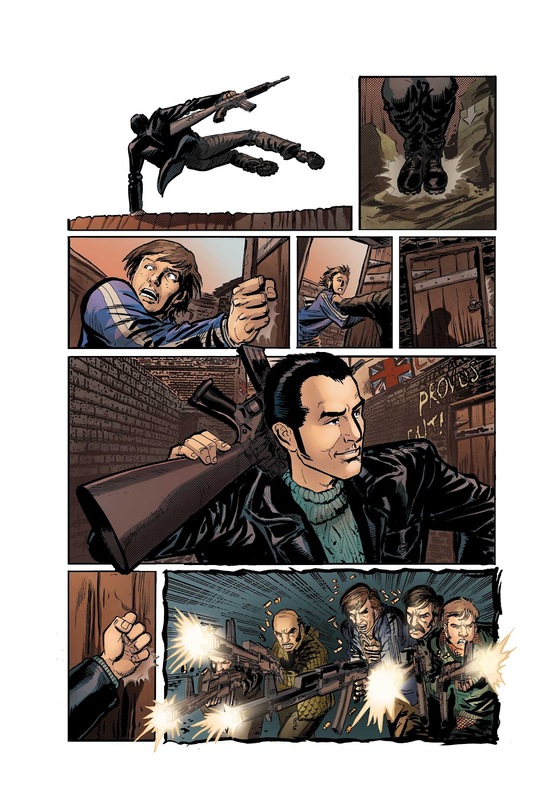 Sales of digital comics are growing rapidly, but many are simply re-formats of existing print titles which fail to take advantage of the opportunities offered by digital devices. ROK has embraced the new medium head on, delivering not just great comics but extras that will appeal to all ages now well used in the potential of modern media. 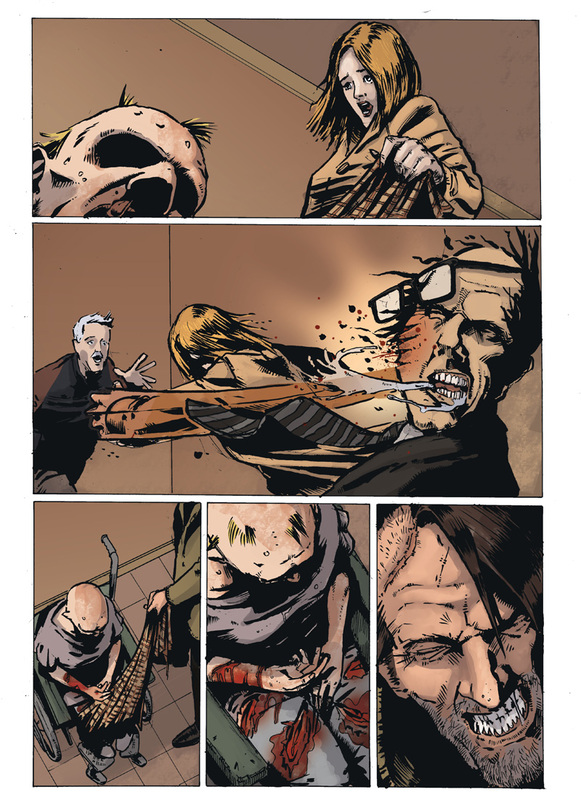 “With all the extras, we wanted to complement the comic storytelling that make a comic a comic,” says editor John Freeman, “but add new elements that will give the stories even greater appeal. 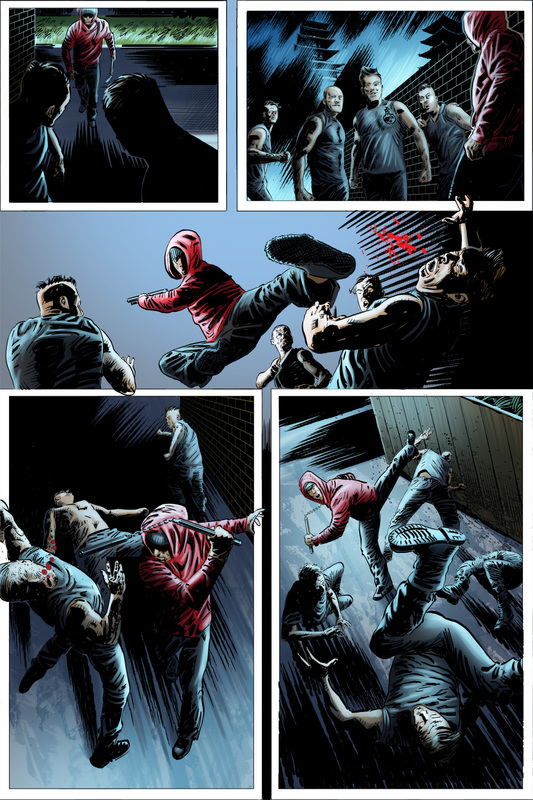 “We’re hoping our carefully-created titles will appeal outside of comic fandom. We’ve had feedback from parents who tell us our audio comics are a great help with children coming to grips with learning to read for example. 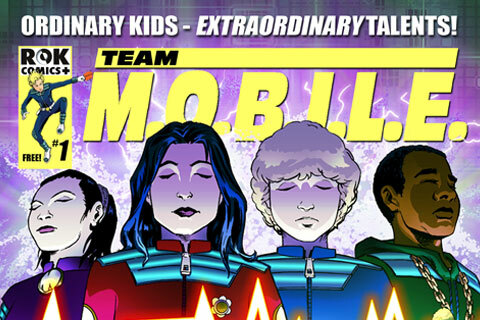 Available now for free are Team M.O.B.I.L.E. #1, Team M.O.B.I.L.E. 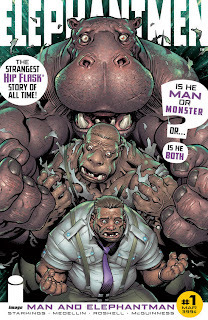 #2 and Houdini #1 – with many more comics in the works. 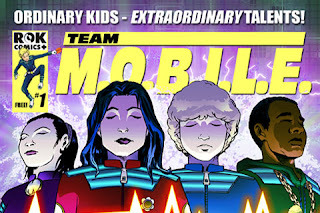 • An ongoing adventure comic, Team M.O.B.I.L.E. 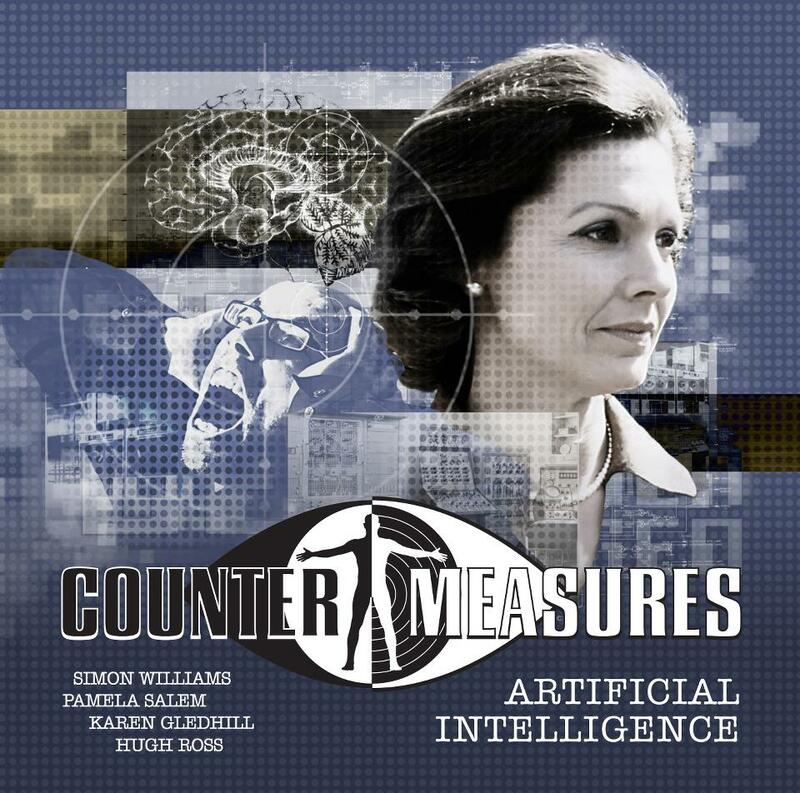 centres on the story of teenagers recruited into a secret organisation to battle crime, terrorism and other dangers – some stranger than others. The series was created by Jonathan Kendrick and features art by Andrew Chiu. 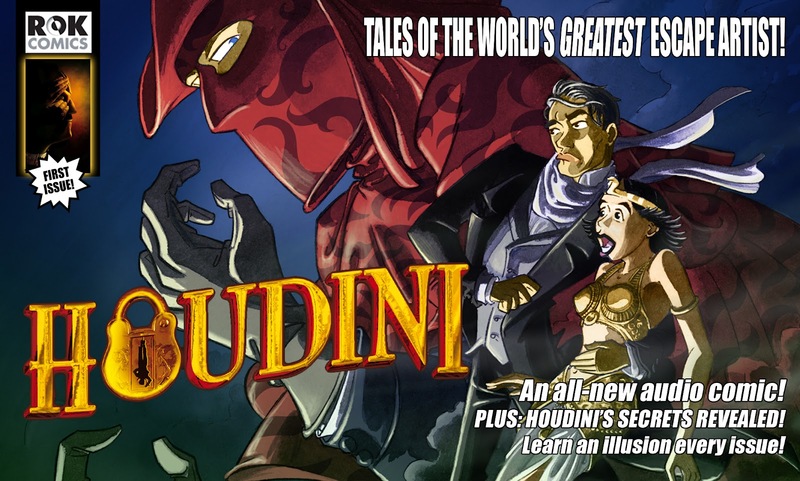 • Houdini is an ongoing adventure comic recounting all-new adventures of the world’s greatest escape artist. Written by magician Jamie Allan Nicklin and composer and script writer Simon Wheeler, the launch issue features art by the highly-regarded Spanish artists Rafael Broseta and David Belmonte. 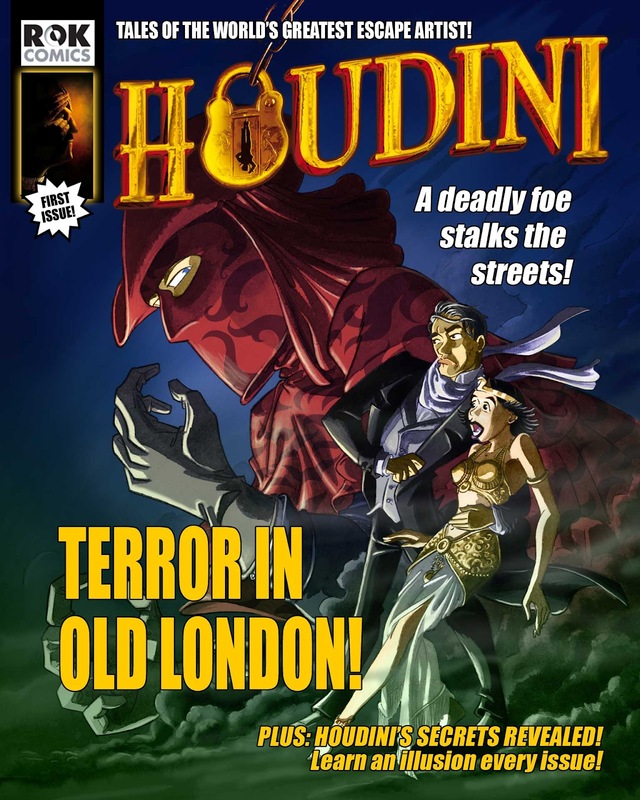 The comic includes exclusive videos revealing magician’s secrets – some included for free, some offered as in-app purchase. 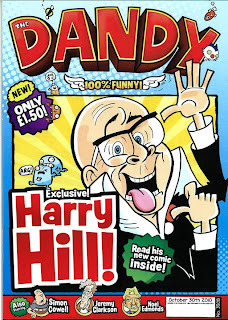 DC Thomson have just tweeted their official statement regarding the fate of The Dandy - and as expected for weeks, it's not good news for fans of the print edition, with the comic ending its physical existence (bar annuals) in December. DC Thomson is continuing to develop its magazines operation & portfolio to create an efficient business model that will build on the strength of our existing brands and products. There are many challenges within the industry at present, but we’re excited that the digital revolution has also given us an opportunity to innovate and develop. We’re celebrating the fact that The Dandy has been in print for 75 years and we’re doing a lot of planning to ensure that our brands and characters can live on in other platforms for future generations to enjoy. 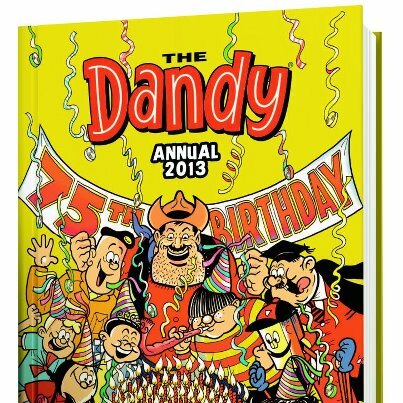 We will release a special edition of The Dandy to mark its 75th anniversary on 4th December 2012. 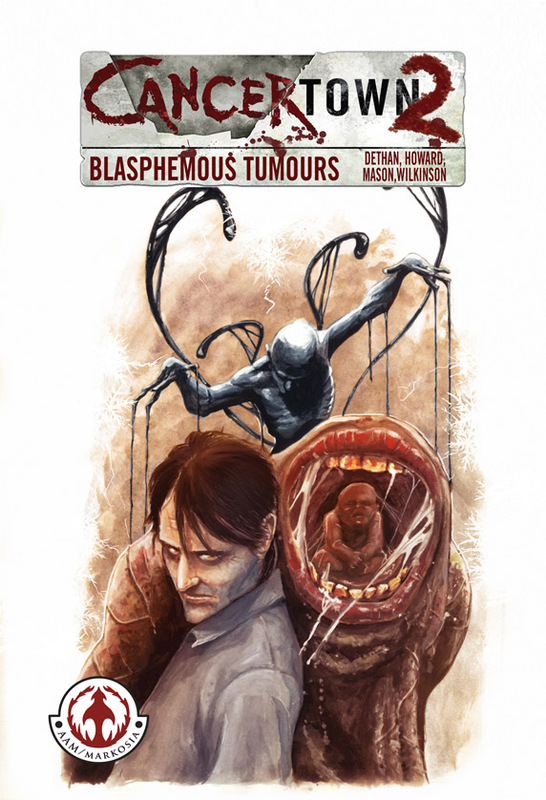 This issue will be the last printed and will include a reprint of issue #1. There’s still a healthy appetite for The Dandy so we’re making it relevant for a new generation. There are exciting plans in the pipeline to take the title in a different direction & ensure that the next 75 years are just as popular. We’re counting down 110 days until the 75th anniversary bash & we’re working on some tremendously exciting things for The Dandy's future. What comes online then that will set the tone for the future. We’re excited that the digital revolution has given us an opportunity to innovate and develop and we’re confident that future generations will continue to enjoy The Dandy. 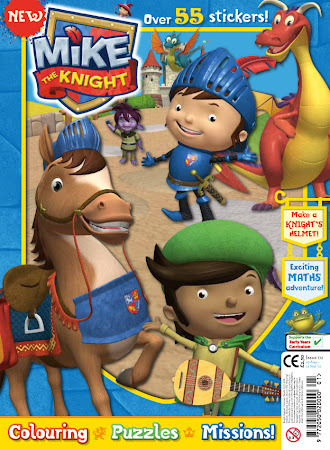 Immediate Media is to launch Mike the Knight magazine on 29th August 2012, an educational children's title aimed at children aged 3-5 years, based on the hugely popular CBeebies TV programme of the same name. This new title - joining a stable of young children's titles from the company - transports children into Mike the Knight's wonderful and imaginative medieval world. Sticker pages, competitions, medieval historical facts and unique covermounts encourage role-play so young readers can 'Be a knight and do it right'! Immediate say the monthly magazine will give Mike fans the opportunity to meet and interact with Mike and his trainee wizard sister, Evie, on their adventures. With a new mission to solve each month, the title is adventurous, reassuring and funny, using language that's as energetic and cheeky as the magazine's young hero. The title is being produced by Immediate Media's award-winning youth and children's editorial team. Mike the Knight is a 52-part CG-animated series bringing the excitement and enchantment of medieval times into the life of the modern pre-schooler for the very first time. In each action-packed episode, viewers are transported to a world filled with marvellous missions, castles, dragons, Vikings and trolls. Mike is an energetic, cheeky little knight in training, driven by his passion to help others and be the best knight that anyone can be. With the triumphant motto "Be a Knight, do it right" the would-be hero is joined in his adventures by a host of characters including his trusty steed Galahad, two eccentric dragons, Squirt and Sparkie, and his sister Evie, a trainee wizard. Pauline Cooke, publisher of Immediate Media Co's Pre-school titles, said, "We have really enjoyed working with the programme's creators, HIT Entertainment to develop an inventive magazine which allows young children to have fun and learn in an adventurous way. "This is a great opportunity to strengthen our position within the shared boys and girls stand-alone market with a title which we know will enchant fellow young knights and wizards in training!" Sara Oldham, Mike the Knight magazine's editor, adds: "Mike the Knight is the only pre-school programme to invite its viewers into a fantastical world of knights, wizards and dragons and it has captured the imagination of our young readers. "We're delighted to be offering parents an exciting new magazine that invites their children to enter this world, while also encouraging them to develop the skills they need to succeed at school." 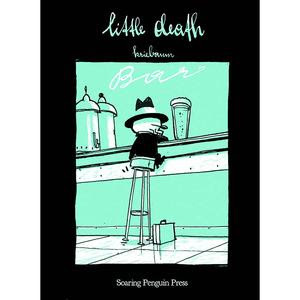 In case you haven't heard, Soaring Penguin Press is holding a launch party for its latest book, Little Death, the creation of Thomas Kriebaum. Originally published in Germany and Austria as kleiner Tod, the book has sold well and is described as “a small man in a black suit who has a distinct dissatisfaction for his vocation." "The image of 'Little Death' is not absolutely new," says Kriebaum in an interview for Spiele Magazine earlier this year. "A couple of years ago I had a contribution with the title Death in Venice for a Slovenian comics magazine. In the story, 'Little Death' is spending his well-deserved vacation in Venice with shorts, a colourful shirt, a cap and all the madness of Venice in the high season, including tourist masses, inflated prices… and there, he has to deal with more worldly problems. "At the same time, I came across Arthur Miller’s Death of a Salesman. Because I really enjoyed the 'Little Death' character, I transformed my Death in Venice to a Salesman who dealt with death. Very classic as the typical sales representative from an old American movie, he wore a suit and a hat, and carried a briefcase – and was just as popular and successful. "Now and them I would draw other stories for a magazine or an anthology, or just for my own amusement. Over the years, I produced so many short stories of 'Little Death' (and there will be more in the future) that I had a real collection of them in my drawer. After my first comic book Life, the publisher watned to continue my work, so I suggested a book of 'Little Death'." 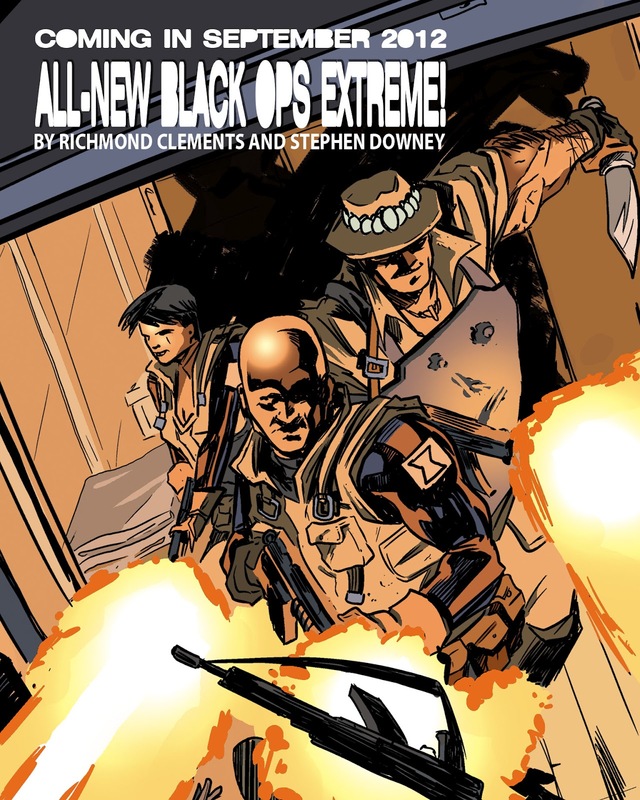 The book was solicited in Diamond Comics June 2012 Previews, under Soaring Penguin Press. The 96-page, two colour book (DCD Code JUN121284) will retail for £9.99/$14.99. The launch takes place on 21st August at 7.00pm at the Battersea Mess and Music Hall (http://www.batterseamessandmusichall.com). "We have the books, we have the book plates, signed and numbered by Thomas Kriebaum and limited to only 150," says publisher John Anderson. 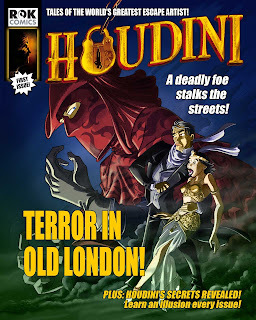 While British comic publishers may be feeling the future is rather bleak, with rumours of The Dandy's impending closure providing a major news story for media outlets as diverse as Radio 4, ITN News and Al Jazera this week, comic characters are enjoying incredible success in other spheres. 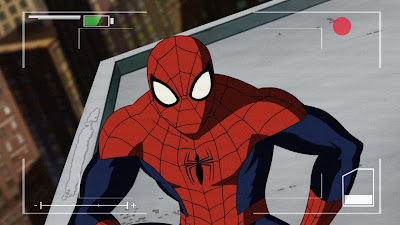 A case in point is the new animated series, Marvel’s Ultimate Spider-Man, which has stormed to record ratings on Disney XD UK - and its success is about to usher in even more superhero action on the channel. The show is currently the top rated animated title on the boy-focused, girl-inclusive channel launched in August 2009, reaching a huge 1.2 million individuals 4+ including 683,000 kids 4-15 and 265,000 boys 8-12 in its first six weeks on air. Disney XD tell us the premiere episode of Ultimate Spider-Man was the best performing show in its timeslot with boys 8–12 on any kids TV channel in the UK, including those available in twice as many homes. Over the first six weeks, the series also boosted year on year Disney XD ratings for its timeslot by 77%. Marvel Universe, a dedicated programming block airing every Friday at 3.30pm on Disney XD, will feature some of the most popular Super Heroes in the world - Iron Man, Captain America, Thor, Hulk and Spider-Man. The Disney XD block will be home to all of Marvel’s action-packed animated series including hit programmes Ultimate Spider-Man, The Avengers: Earth’s Mightiest Heroes and Iron Man: Armored Adventures. The television success of Marvel’s Super Heroes is being mirrored at retail, with Argos reporting last week that six out of their top 10 toy lines were Spider-Man products and that the web shooting Spider-Man action figure tops retailers’ Christmas recommendation lists. 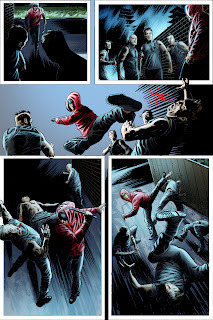 Marvel’s Ultimate Spider-Man is written and guided by the most star-studded creative team in Super Hero television history, including Marvel's Chief Creative Officer, Joe Quesada, and Marvel's EVP – Head of Television, Jeph Loeb, Supervising Producer Man of Action Studios (Joe Kelly, Joe Casey, Steven T. Seagle & Duncan Rouleau), Creative Consultant/Writer Paul Dini (Batman: The Animated Series, Lost), and Consulting Producer/Writer Brian Michael Bendis (Marvel's Ultimate Comics Spider-Man comic series). Ultimate Spider-Man is a series of many firsts, extraordinary given the enduring popularity of the character within the Marvel Universe. In the series storyline, a teenage Peter Parker (voiced by actor Drake Bell) juggles the relatable challenges of high school with the extraordinary challenges of being a Super Hero. Nick Fury (voiced by actor Chi McBride) invites Parker to train with his S.H.I.E.L.D. organization, where Peter's alter-ego, Spider-Man, will join forces with four other teenage Super Heroes - Nova, White Tiger, Power Man and Iron Fist, on the greatest action and adventure ever as they work to become Ultimate Super Heroes. In 1944 The Dandy introduced a home-grown British superhero – The Amazing Mr X, who appeared in 14 instalments between 1944 and 1945. Drawn by DC Thomson staff artist Jack Glass, the The Amazing Mr X made a brief reappearance in The Dandy annual in 1962, drawn by Dudley D. Watkins -- but since then, he has been all but forgotten. Now the University of Dundee, in partnership with DC Thomson, is giving comic creators the opportunity to bring the character back to life, re-interpreting the character for the 21st century! The challenge to recreate one of Britain's first superheroes (DC Thomson actually created other characters that could be regarded as superheroes earlier than Mr X) is the focus of the Second Annual Dundee Comics Prize. Entries should consist of a two - three page origin story and a cover image featuring your interpretation of this classic British superhero. The first prize is £500, plus publication of the story in The Sunday Post and in the Dundee University publication Anthology, which showcases new work by up-and-coming comics creators. There will also be two runner-up prizes of £250 each. The deadline for completed submissions is 1st October 2012. The work will be judged by a panel consisting of comic professionals and scholars, with the announcement being made at the Dundee Comic Day on 28th October 2012. Winners and runner-ups will be invited to attend. 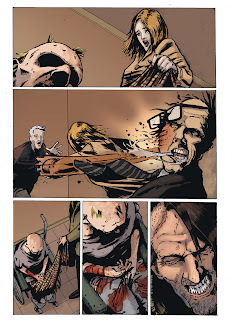 There will also be an exhibition of artwork from the competition at Comic Day. Mr X was the alter ego for private enquiry agent Len Manners who dons "a queer costume, black skin-tight trousers and white jersey" and uses amazing strength that he can "summon at will" to fight crime. 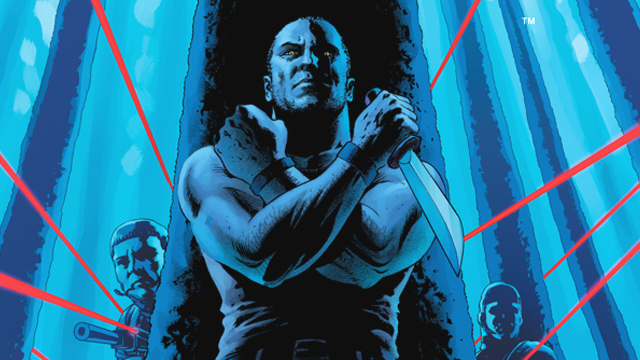 Former Dandy editor Morris Heggie has described Mr. X as "The closest we've ever had to a super hero". However, he also admits that "His arch nemeses weren't glamorous.... He would chase people who stole lead from roofs and other small time crooks." The character is actually one of several ill-fated superhero characters we're told DC Thomson has considered reviving in the past. These also include the mysterious Captain Hornet, The Comet, Captain Q, Danger Man, the Flaming Avenger (who appeared in Rover back in 1933), King Kobra (drawn by Ron Smith, he appeared in Hotspur back in 1976), Tarzan imitator Morgyn the Mighty, Red Star Robinson, the Scarlet Hawk (who fought crime from a secret base in Dorset) the Supercats (first appearing in girls comic Spellbound), Spring-Heeled Jack and Zogg the Wizard. The aim of the Dundee Comics Prize is to nurture talent in comics, and to help new creators gain recognition. Anyone can enter the competition, and the submission can be in any style, in black or white or colour, but the work must be finished to a high standard (lettered, inked, etc), and it must be a complete story. The work must be original, the creators must own the copyright, and it must not have been published already, or currently offered for publication elsewhere. When submitting work good quality scans are requested in the first instance, although original artwork may be requested at a later stage (although will remain the property of the creators). The prize is awarded to the creator or team who produce the work. If the work is collaborative the members of the team will share the prize money equally. All winners (including runners-up) will be asked to provide a short account of how the comic was created, along with any relevant photos and sketches. These will be used on the website and in the exhibition and publications to demonstrate how the winning entries came about. Artwork will also be required on a short loan for the purposes of an exhibition. The decision of the judging panel is final, and DC Thomson reserves control over what is published, how it is presented, and in what format, in their publications. • Please also read the Rules and Guidelines for the prize. A flyer about the prize is available for printing and display. A new browser-based game based on the hugely popular Asterix series created by Albert Uderzo and René Goscinny is in the works. Already one of the best-known comic series in the world with thousands of UK fans, the new browser-based game is a project from Deutsche Telekom, Les Éditions Albert René and SEE Games, as DT increases its focus on the development and publishing of proprietary games and extending its portfolio of in-house game productions. The game is being developed by Sproing in Vienna, which has many years of experience in the development of international productions, and has created major hits in the browser-based game space, including SkyRama, a massively popular management game. With 350 million comics sold, eight animated and three live-action movies produced, the Astérix Adventures are famous all over the world. “Working with Deutsche Telekom as the publisher of the browser game is particularly groundbreaking for us.," says Martin Biallas, CEO of SEE Games. "Their coverage and marketing skills at a global level will guarantee that this new Astérix adventure will be a huge success for fans around the world. Fans will soon be able to find Astérix as a free-to-play browser game also on the Deutsche Telekom games platform Gamesload. Never had men gone on a secret mission in such a strange craft. Huge, slow, clumsy, she was a perfect target for roving enemy planes. But she also happened to be the perfect ship for their job. Yes, these guys knew exactly what they were doing! 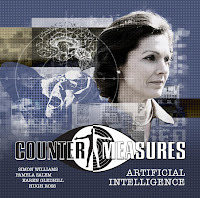 This Pacific War story -- from the typewriter (remember them?) of veteran Commando writer “Monty” Montague is almost unbelievable. Yet, a combination of careful plotting and cracking art pulls you past any doubts you might have had. Speaking of art, the black and whites are from Cam Kennedy who was very friendly with Victor De La Fuente whose drawing skills can be seen in Commando No. 4524. Both men can produce magnificent movement in static pictures. 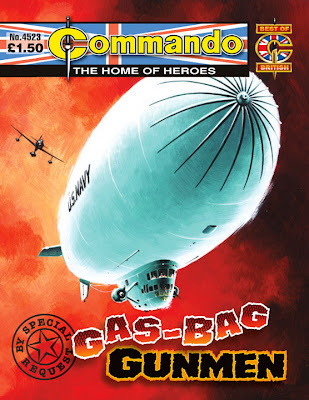 One of Commando’s ‘By Special Request’ issues, reader Stewart Duncan was one of several people who asked to see this one again, principally, he says, because only Ian Kennedy could put a blimp on a Commando cover and not have it look ridiculous. Captain Mike Reilly had lost his left eye in battle so the Top Brass had given him a desk job. And Mike didn’t like that one little bit, because he knew he could still out-shoot, out-march and out-punch almost any soldier living. After all, Nelson only had one eye and one arm and look at the mess he made of England’s enemies! There was quite a queue to nominate this story for another airing under the ‘By Special Request’ banner, reader Lee Grice being one who suggested it. Looking at that Jordi Penalva cover image, you can see why. It’s so strong what’s inside almost doesn’t matter. 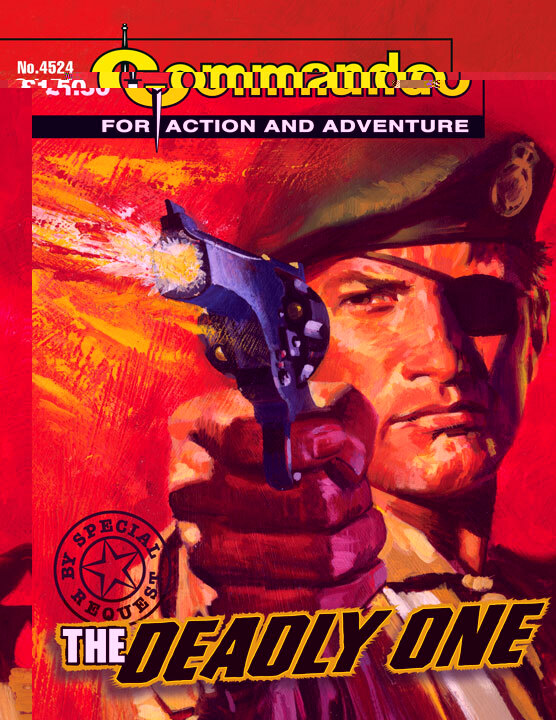 “Only almost, though, and the combination of Hardy’s story and Victor De La Fuente’s super-dynamic art gets you into the action from the first picture. 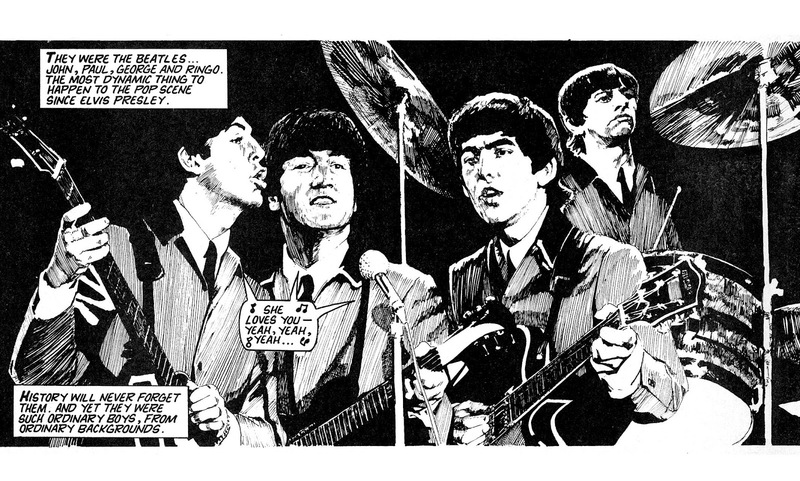 Compare Victor’s black and whites with Cam Kennedy’s in No 4523 — they work the same magic. As for the title, it works on several levels and in combination with that cover suits the story much better than the working title of Ten Desperate Men. 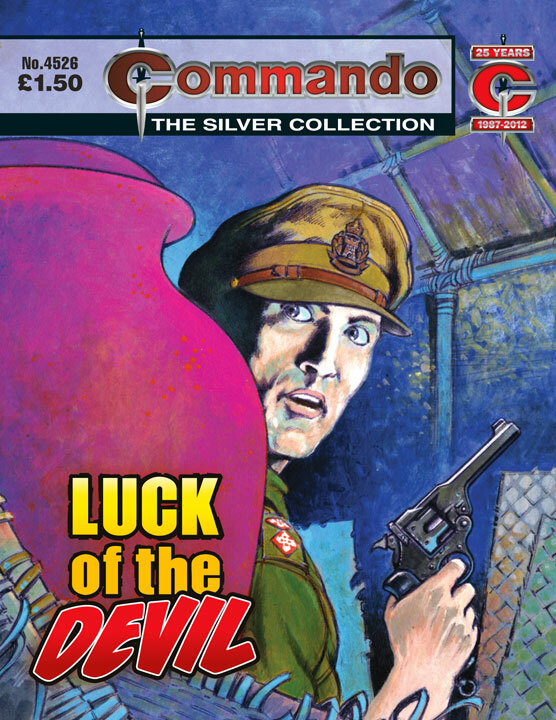 Well done, the 1971 Commando Editor, for picking it. Originally Commando No 30 (July 1962). “The eagle-eyed amongst you will spot that the hero’s blade on the front cover doesn’t quite match the description of it on the back -- this is much bigger than a knife!” notes Commando editor Calum Laird. 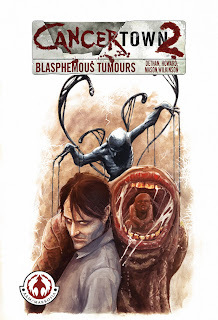 “But, hey, with a menacing cover image like that, who cares? There is no doubt that Ken Barr’s Commando covers could catch the eye from the other side of the room and draw you in. “Once you were caught, Bielsa’s stark black and white images underlined the menace in the story, well-crafted as ever by Eric Hebden. In this case he may well have drawn on his experiences as an officer on Gibraltar to give the story its authentic feel. Fleeing into a cave in the grip of mortal fear, John Tilley had the first of a series of amazing escapes from death. From that day he was so lucky it was almost unbelievable. His men said he had the luck of the Devil. Was that his terrible secret? “This jungle yarn -- from the pen of veteran Commando scribe Cyril Walker -- has a supernatural flavour,” says Scott Montgomery, Deputy Editor. “The story kicks off with a 1000-year-old curse and then jumps forward in time, focusing on the deadly effect it will have on a group of British soldiers in World War II Burma. Or will it? 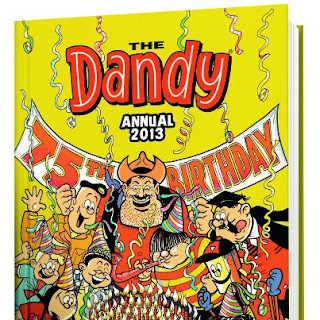 National newspaper The Guardian has reported that DC Thomson may be considering an end to The Dandy, with its sales slipping away despite numerous attempts to save the title in the face of changing tastes, distribution issues and competition from other media. Fans have already rallied online with a #SavetheDandy campaign on Twitter, urging comic readers to get out and buy the comic. Commenting on its 75-plus year history, comic creator Neill Cameron, a contributor to The Phoenix, urged support and others quickly took up the cause. A full official statement on the title's future has yet to be made - the editors of both The Beano and The Dandy are on holiday this week - but The Guardian notes the 75-year old comic's circulation has declined as children have grown out of the habit of reading weekly comics, with their free time given over instead to watching TV and more recently playing video games and surfing the internet. Various artists on the title have begun to comment on the possible demise of the title, including Jamie Smart, who was a key part of the title's most recent revamp in 2010. 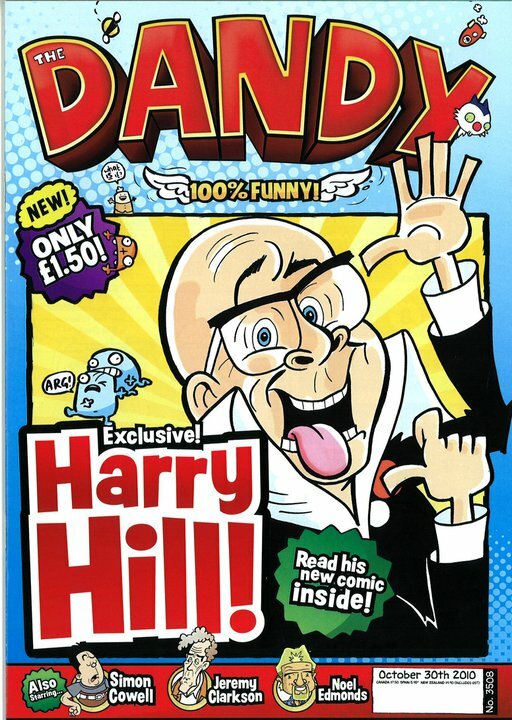 That saw the arrival of a Harry Hill comic strip (drawn by Nigel Parkinson) and many changes to the look of the title in an impressive effort to both appeal to potential new readers and continue to appeal to existing ones. The relaunch was backed by a decision to print around a quarter of a million copies of the revamp issue, in-store dump bins to highlight it on shelves among the many other more magazine-oriented childrens' titles and other promotion. Sadly, for whatever reason, actual sales of the title were not reflected by these herculean efforts to breathe new life into the title, and slowly dropped back to the declining figures The Dandy was selling at pre-revamp. The Dandy has outlasted DC Thomson's other titles such as the Beezer and the Topper by 20 years or more, but circulation decline has continued and by the second half of 2011, circulation had dipped below 8,000, according to the most recent official figures. Despite the potentially bad news, creators who have worked on the title are adamant the brave decision to transform its look in 2010 was something worth trying in the face of declining sales. "When The Dandy relaunched a couple of years ago, what it did was phenomenal," notes Jamie Smart. "It had previously tried to go a bit more ‘magaziney’, but now it was turning full circle and defiantly stating no, we are a comic, and we are proud of it. "The last two years of The Dandy have been an absolute triumph for British comics," he argues, "a confident love of sillyness, slapstick and mess. A great wave of ridiculous characters and stories, an unashamed love of all things absurd. "It also ushered in a host of new artists, fresh talent, being given their first break in the industry. It wanted to try new ideas, new things, giving us free reign to be as silly as we wanted. It was a playground. "... To see this news emerging, it’s pretty crushing," he adds, urging comic fans to get out and buy the comic. "It’s no exaggeration to say The Dandy is a British institution, and a pillar for British comics. It has been essential to our culture. As the artists involved towards what may be its final days, we are incredibly proud and honoured to work on such a comic, to be given the opportunity to entertain children. "We believe we have delivered real quality comics, and that The Dandy has been a shining light in what is a shrinking industry." The Dandy first went on sale in 1937 costing 2p, with a free whistle and now costs £1.99. If it was priced on a par with a bar of chocolate - a common frame of price comparison used by publishers in the past - then a cover price of 65 or 70p might help, but quite aside from editorial, print and paper costs, distributors today tend to demand and favour higher-priced titles on their shelves in order to maximise their profits, rather than support a pricing change which might benefit potential consumers and publishers. A spokeswoman for DC Thomson told The Guardian that the closure of the print title was being considered as part of a review of the company's magazine business, but indicated that characters such as Desperate Dan would continue to exist online. (This is something former editor Morris Heggie seemed to be hinting at in comments he made in an interview about the future of comics earlier this month). The Guardian also notes characters such as Desperate Dan could also continue in print by switching to DC Thomson's sister title The Beano, although if cancellation is on the cards in the very near future, we'd argue that an old-style comics merger is unlikely given that title's recent revamp. "We are carrying out a review of our magazines business to meet the challenges of the rapidly changing publishing industry," the spokeswoman told the Guardian. "There are many challenges within the industry at present, but we're excited that the digital revolution has also given us an opportunity to innovate and develop. We're confident that future generations will continue to enjoy our much-loved products and characters." • The Cartoon Museum in London is preparing an exhibition celebrating The Dandy's 75th anniversary, which will open in October. London's Cartoon Museum has seen visitor numbers drop by 40 per cent over the past eight weeks. The Museum has now announced it's extending its opening hours in the hopes of boosting visitor numbers. A combination of events have reduced visitors and tourists in central London. Very wet weather in May and July combined with the celebrations for the Olympics and the Queen’s Diamond Jubilee have meant that visitors have stayed away at what should have been the museum's busiest time of the year. "We are really keen to welcome new visitors to the museum," says Museum Chairman, Oliver Preston. "We have been one of the most successful small museums, and have recorded over a quarter of a million visitors since we opened in 2006. "We receive no government or local authority funding, and the museum survives on its admission income, museum shop and charitable fundraising. Our visitor numbers and income have been hit hard as the streets remain empty." The museum's current family-friendly exhibition Animal Crackers includes everything from Peppa Pig, Simon's Cat and Gnasher to political cartoons featuring fat cats and British lions. The museum is also holding special summer cartooning and animation workshops for young people. To give even more people the chance to visit, the museum is extending its opening hours and will open on Mondays from the 6th August 2012. According to trade association estimates, attendance at traditional tourist attractions last week was down by 30 per cent on the same period last year, restaurants by 40%, and black cab usage by a similar figure. The royal palaces – the Tower of London and Hampton Court among them – have been particularly badly hit, attracting only half of last year's visitor numbers. The British Museum, the Cartoon Museum's larger neighbour, has lost one in four visitors, the National Gallery, two in five. "We are opening the museum seven days a week,” says Preston, “so that we can try and attract families – and visitors after the Olympics – to come and see the exhibition that includes Wallace and Gromit, Mickey Mouse and animals in cartoons, political caricature and comics over the past two hundred years. "It's a lot of fun and also educational. We are delighted that the Olympics have been such an exciting success, with families and kids cheering on Team GB, at the venues and on television, but we really want visitors to return after the closing ceremony." We're very sorry to report the passing of US comic creator Joe Kubert, whose legacy as an industry great and influence on comic artists the world over - including the UK - cannot be in any doubt, has died. He was 85. 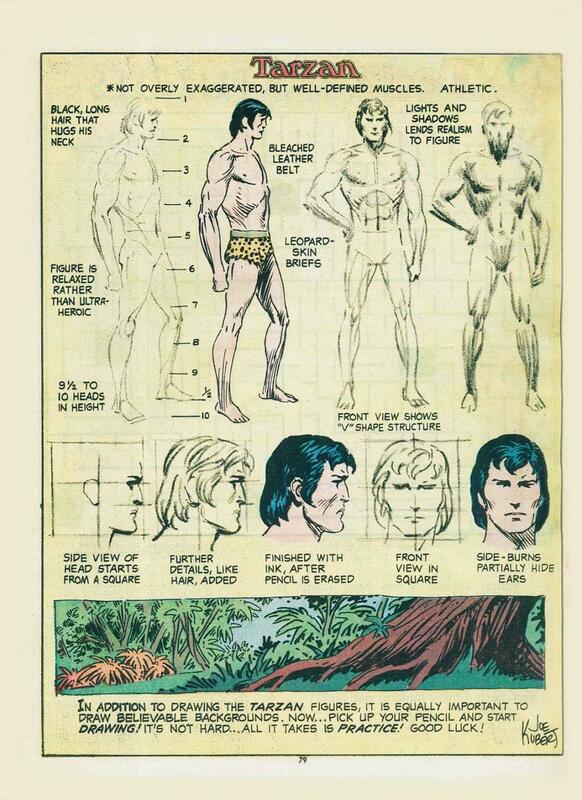 Quite apart from his work in comics (which includes Tarzan, Sergeant Rock, Hawkman, Tor and the acclaimed 1996 graphic novel Fax From Sarajevo, Joe was a pioneer in art instruction, opening Joe Kubert School of Cartoon and Graphic Art school in 1976. 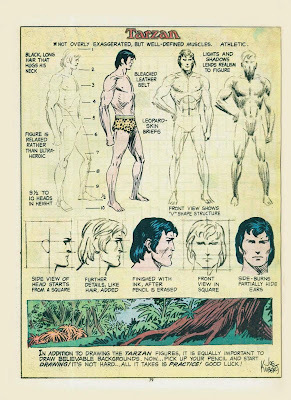 Now known simply as The Kubert School, the institute has turned out several well-known artists including Dave Dorman, Steve Bissette, Alex Maleev and many more - not least of which are his sons, Adam and Andy, who also teach at the School today. "A great artist and a great man," commented British comics artist Dave Gibbons on Twitter as news began to break of his passing. His final published work is likely appear in the pages of Before Watchmen: Nite Owl or his solicited six-issue Joe Kubert Presents miniseries.